This week, Dr. Ronald Anglade of Georgia Urology will join The Weekly Check-Up to discuss genetic causes of male infertility. Dr. Ronald Anglade is a native of New York. He received his undergraduate degree from Brown University, Providence, RI. He then returned to New York and received his medical degree from the State University of New York Health Science Center at Brooklyn (Downstate Medical Center). He completed a residency in surgery and urology at the Boston University School of Medicine. He stayed on in Boston as faculty and received additional training by Dr. Irwin Goldstein, one of the world’s experts in sexual dysfunction. He also completed a postgraduate fellowship in male infertility and microsurgery. His research interests include genetic causes of male infertility. He served as a visiting scientist in the lab of Dr. David Page at the MIT/Whitehead Institute for Biomedical Research in Cambridge, Massachusetts. The focus of his work included the impact of Y chromosome microdeletions on normal sperm production. 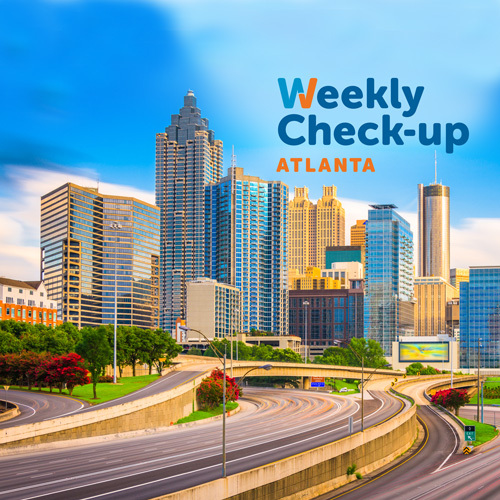 He is currently on staff at Emory Eastside Medical Center, Gwinnett Medical Center, Northside Hospital, Crawford-Long Hospital, and DeKalb Medical Center. Dr. Anglade is a member of the American Urological Association, The Society for the Study of Male Reproduction, the American Society for Reproductive Medicine, and the Society for Male Reproduction and Urology. 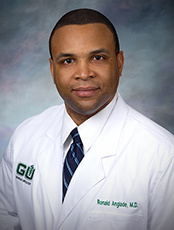 Learn more about Dr. Ronald Anglade at www.GAUrology.com.